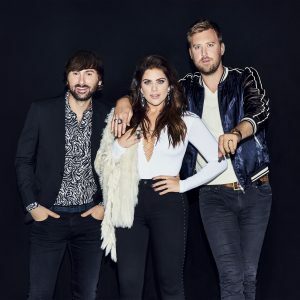 Over the course of their decade-long career, Lady Antebellum has amassed record-breaking success ushering in more than 18 million album units and 34 million tracks sold, with over two billion digital streams. In addition to critical acclaim the trio has nine #1 hits to their name including the 9X Platinum hit “Need You Now,” which is the highest certified song by a Country group. Lady A has earned ACM and CMA “Vocal Group of the Year” trophies three years in a row and countless other honors including seven Grammy awards, Billboard Music Awards, People’s Choice Awards and Teen Choice Awards along with first-ever Tony Award last year. Their “Our Kind of Vegas” Residency at Palms Casino Resort’s will continue into the spring with performances in May and August. Lady Antebellum recently signed with BMLG records and are working on their debut music under its umbrella. For more information, visit ladyantebellum.com.